The ultimate sun-kissed getaway that combines adventure, colonial history, and serenity. Aruba, Bonaire, and Curaçao are together the perfect trifecta of unique Dutch islands that blend aquamarine waters, extraordinary diving, and distinctive landscapes all in one. They all share rich colonial history and offer stunning windswept beaches, warm hospitality, a sensational culinary scene, and possibly best of all, a desirable location outside the hurricane path. Yet for all their commonalities, these islands are very different from one another. All three islands are part of the Kingdom of the Netherlands, with Aruba and Curaçao being autonomous self-governing member states, and Bonaire a special municipality of the Netherlands. It’s no surprise that Dutch influences run strong here, especially in Curaçao, where a walk through the capital of Willemstad with its burst of pink, blue, yellow, and gold buildings feels much like strolling the canals of Amsterdam. 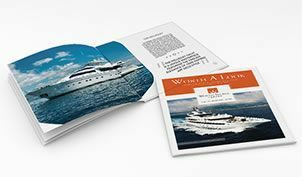 With a desirable climate, stunning scenery, and a tranquility that is second-to-none, the ABC Islands have much to offer along your Caribbean yacht charter. 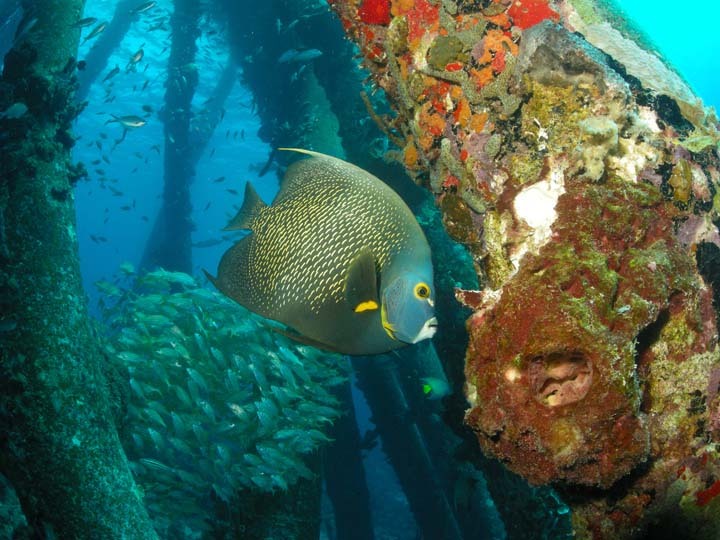 The ideal place to start is Bonaire, the smallest of the three with an international reputation as a diver’s paradise. Then continue to on historical Curaçao, the largest island in the group that’s rich with colonial heritage and charm. 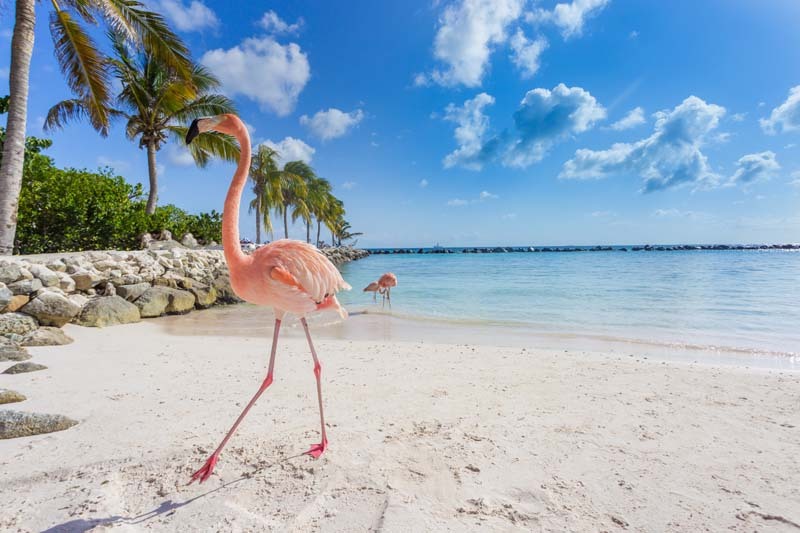 Finally, make your way to Aruba, where you can find non-stop action and adventure or a secluded anchorage with untouched coastal splendor. With amazing sights both above and below the glistening Caribbean Sea, the breezy ABC Islands offer the perfect sun-kissed getaway. Meet your yacht in Harbour Village Marina, where white sand beaches and crystalline waters reflect the rays of the warm Caribbean sun. Bonaire has been a protected area since 1979, and as such, the coral reefs are beyond pristine and abundant with marine life, making it one of the top diving and snorkeling destinations in the world. No anchoring is permitted in this stunning oasis. 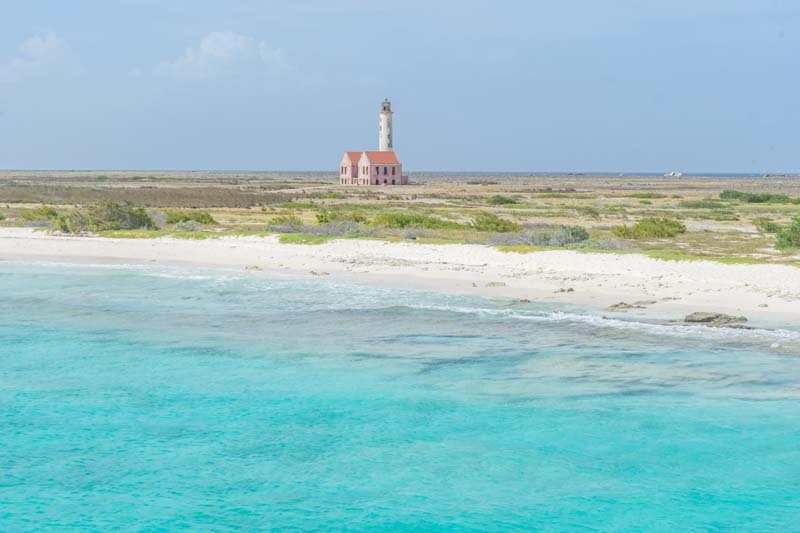 Cruise from Bonaire to the tiny isle of Klein, a blissfully desolate island where the only structures on land are a vintage lighthouse, a beach house, and a scattering of huts. In the water, divers can navigate underwater caves, a vertical drop-off, and vibrant coral reefs. Continue to enjoy this secluded haven with dinner prepared by your personal chef aboard your yacht. Wind your way into one of the most sheltered anchorages in the Caribbean, the protected bay of Spanish Waters. 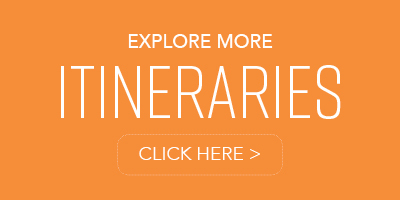 With your choice of top-rated beaches and several cays and inlets to explore, the options are blissfully endless. No matter the weather, the waters here are consistently calm and tranquil, perfect for lounging the day away or enjoying a variety of watersports. Venture ashore for a game of tennis or a round of golf at the exclusive Santa Barbara course. The Shore Seafood Grill overlooks the coastline, a wonderful spot to enjoy local cuisine with a view of the waters that are your home. 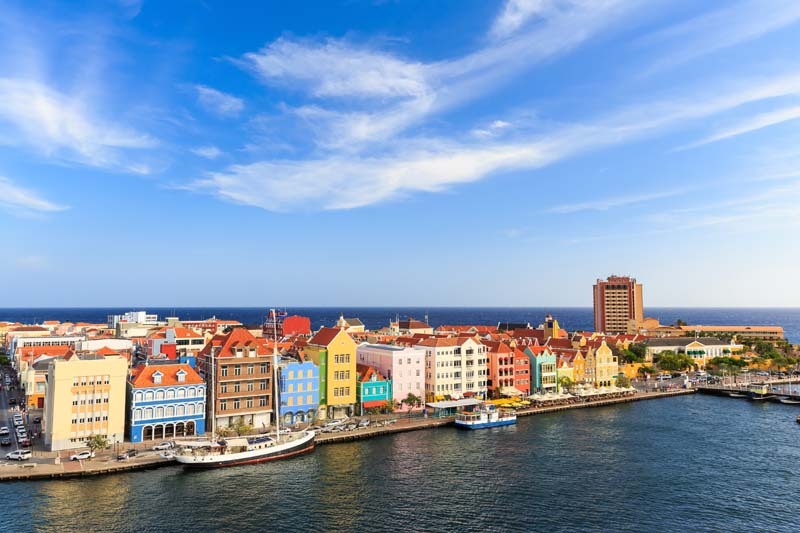 Steeped in Dutch culture, the capital city of Willemstad is lined with vibrant waterfront buildings and colonial architecture reminiscent of Amsterdam itself. The town is home to several museums and historic buildings such as the Curaçao Maritime Museum and the Kura Hulanda slavery museum. Stroll the duty-free boutique shops in Punda, and enjoy delicious local cuisine at one of the gourmet dining establishments before returning to the solace of your yacht. Arrive at Eagle Beach, known as one of the best beaches in the world for its powdery soft white sand, trademark fofoti trees, and low-rise resorts. 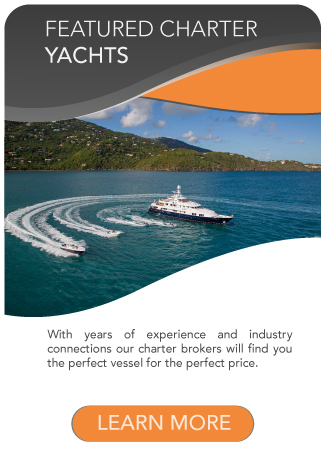 Anchor near the popular Tropicana Casino, where the crystalline water and idyllic setting are yours to enjoy. 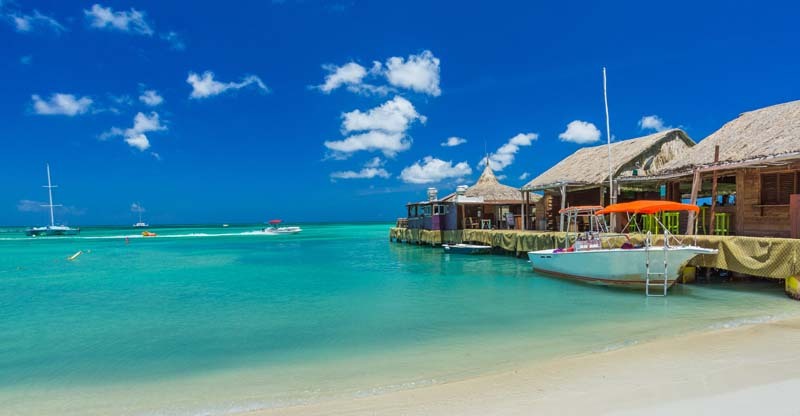 Then venture ashore to experience the energetic vibe that spills into the streets of Aruba before returning to your charter to enjoy a cocktail on deck. 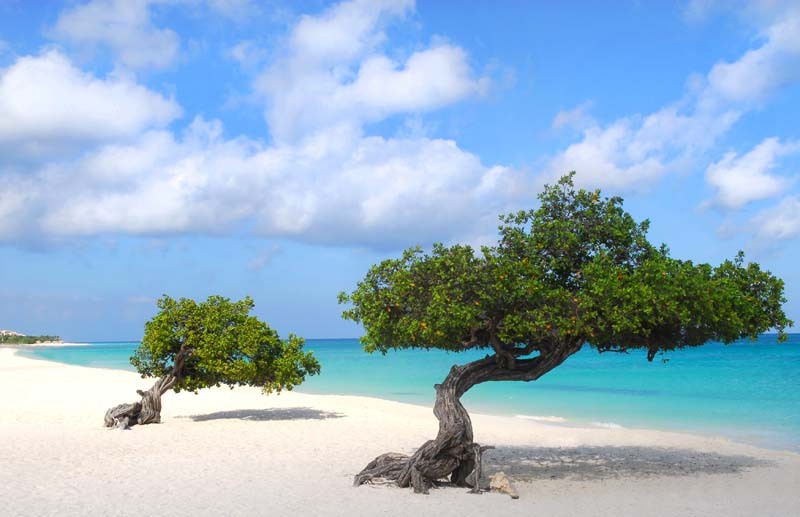 An island tour of Aruba leads you through a distinctive display of scenery, from amazing volcanic rock formations and unique desert landscapes to abandoned, crumbling gold mills and quaint chapels overlooking the sea. 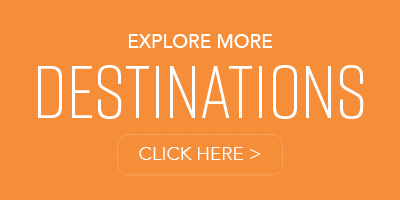 For a lively way to experience it all, travel by Jeep Wrangler or Land Rover and wheel your way across the island. 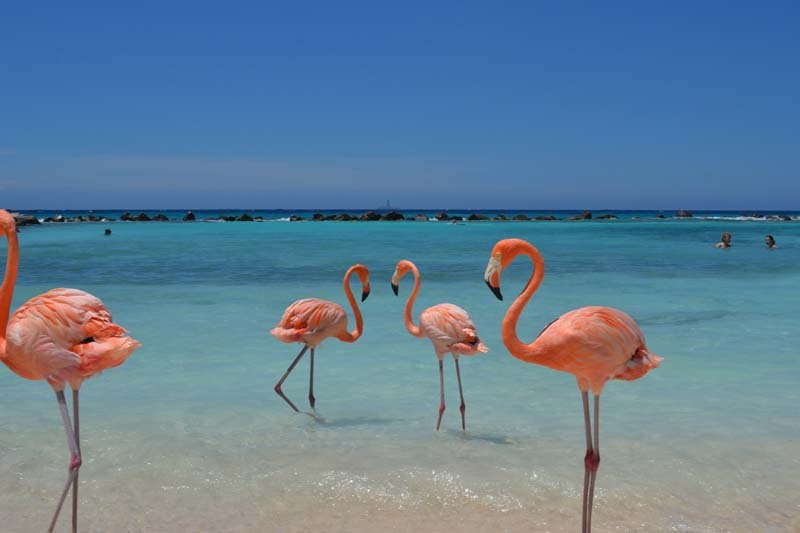 Take a jaunt to Oranjestad, the main port and capital city of Aruba. It’s a enjoyable stopover for water activities such as snorkeling, paddle-boarding, parasailing, and fishing.Venture ashore for some last-minute shopping before it’s time to return to everyday life. CURRENCY: The currency on Bonaire and Curaçao is the NAF (Netherlands Antilles Florin) and the currency of Aruba is AFL (Aruba Florin). Although Aruba and the Netherlands Antilles have their own currency, US dollars are accepted on all three islands. 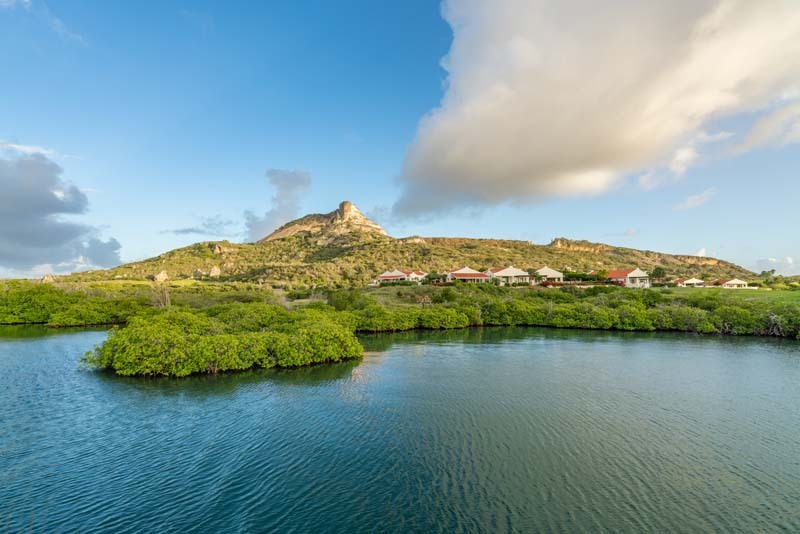 CLIMATE: Temperatures in the ABC Islands are uniformly hot, averaging around 28 to 30 °C (82.4 to 86.0 °F) year-round, with high humidity and minima rarely falling below 20 °C or 68 °F even on the mildest mornings, although afternoons rarely top 35 °C or 95 °F.